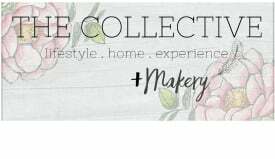 the ombre trend has been around for a year or two in hair and clothing, and lately, I’ve noticed it has started to creep into home decor. 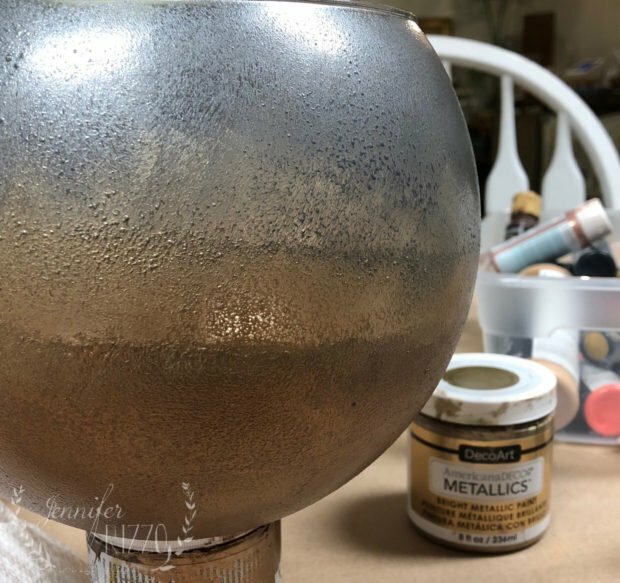 I’ve seen metallic ombre glass on light fixtures, and other decor such as vases. 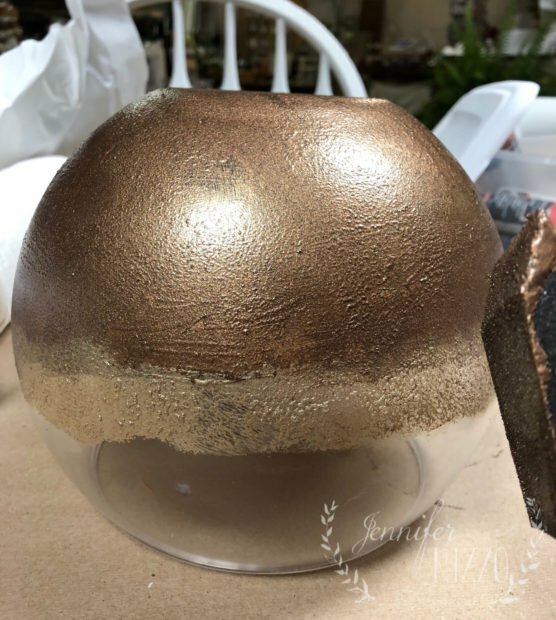 I really love how the tones change when the light glows through it, and I though it would be pretty to use metallic paint to make my own metallic ombre glass globe. 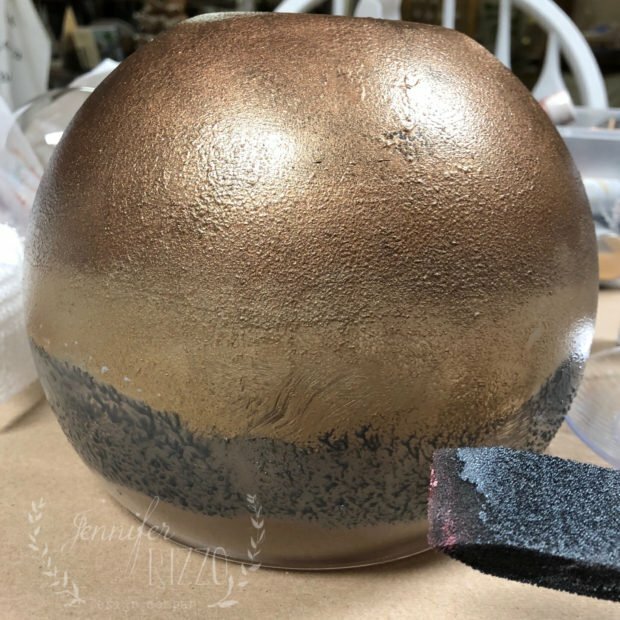 Making this ombre metallic globe is an easy, and pretty project. I used DecoArt’s Metallic paints, and foam brushes to create my ombre effect. Once I had the technique down, it was really easy to paint. This would be really pretty on ornaments too… If you are looking for a few ornament projects, you can try this gold leaf ornament, or these botanical-inspired ornaments. 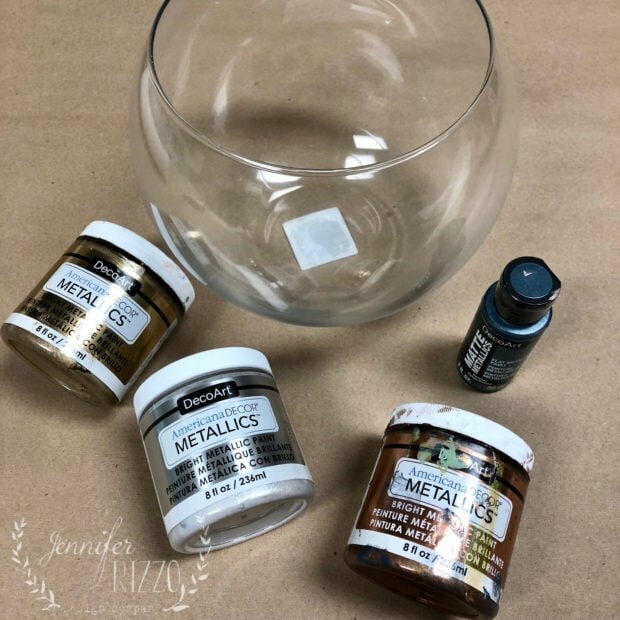 Metallic multi-purpose paint in a copper/bronze tone, a dark gold metallic paint, and a silver or pewter paint. Start by cleaning the globe to remove any finger oils, or reside that might make it harder for the paint to stick. 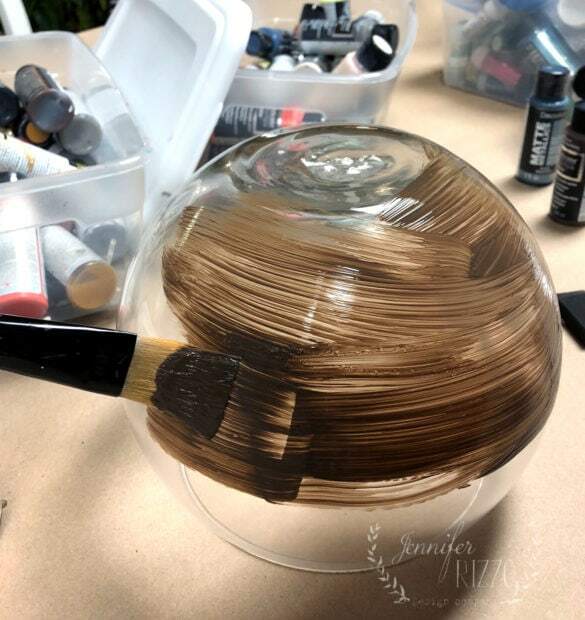 Once you glass is dry, paint a multi-purpose paint in a brown tone as a base. Let dry completely. 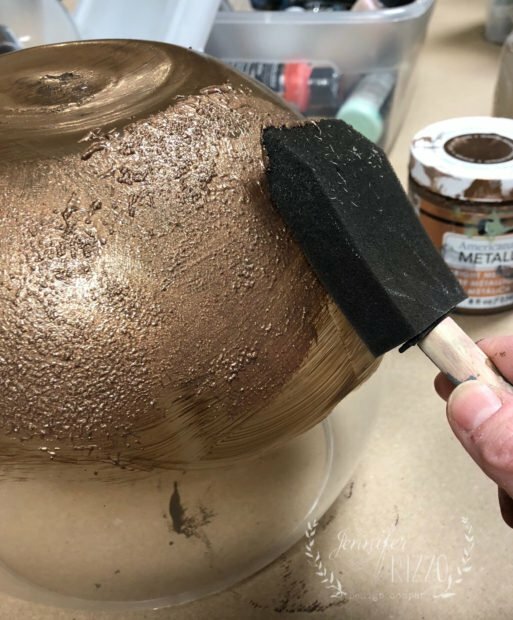 Using a foam brush, lighting dab Antique Bronze paint on the base just over 1 /3 of the way up. While it’s still wet, paint a think band with your second color (gold), and then use the still wet brush from your bottom color to blend the two together where they meet. Repeat with the third color, continuing to blend the colors at the edges. 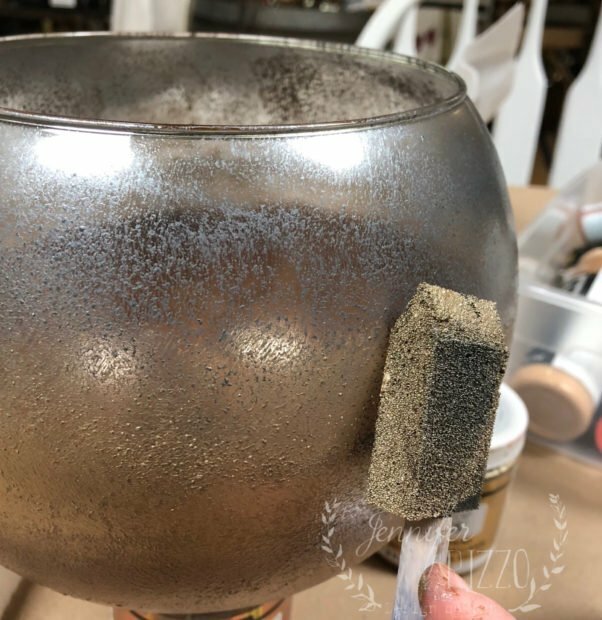 You’ll get a slight orange peel texture as the paint dries, but that gives it a hammered metallic look. 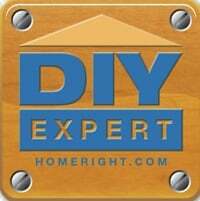 Let dry completely, if the paint isn’t cured, it’s more likely to scratch and chip. Adding a sealer like craft polyurethane will also minimize any scratching from use. 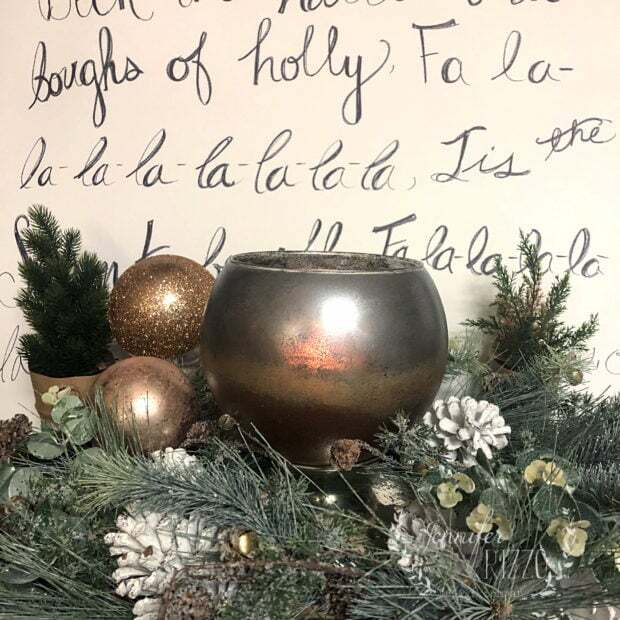 Once the paint is completely dry, adding a battery-operated candle inside, or fairy lights creates a pretty glow. This post is sponsored by DecoArt, opinions are entirely my own. Always be careful when working with, and painting on glass. Love this project? 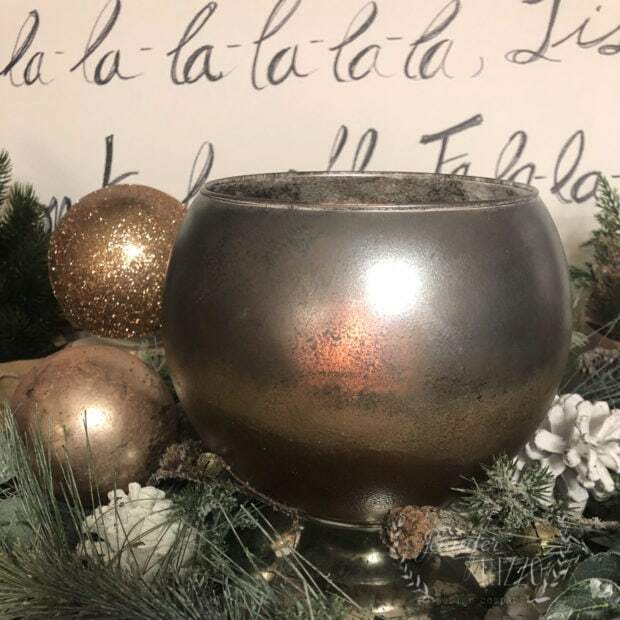 Check out these fun and easy glitter ornaments with metallic paint.